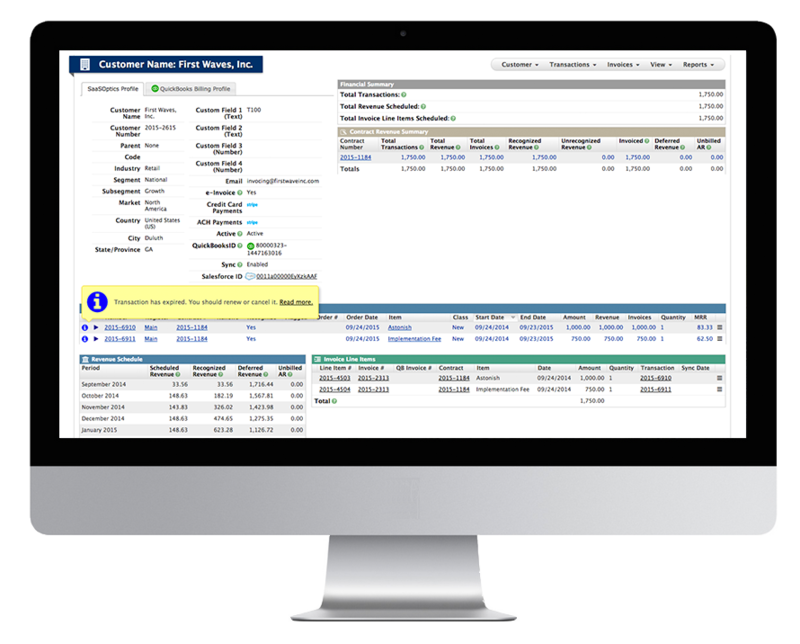 Close quickly, speed through audits, ensure accuracy with fast and accurate GAAP revenue reporting. You have subscriptions. You use Quickbooks. How do you ensure your billing process is complete and accurate? One day, you will have a unified, seamless CRM, subscription management, and financial management solutions. 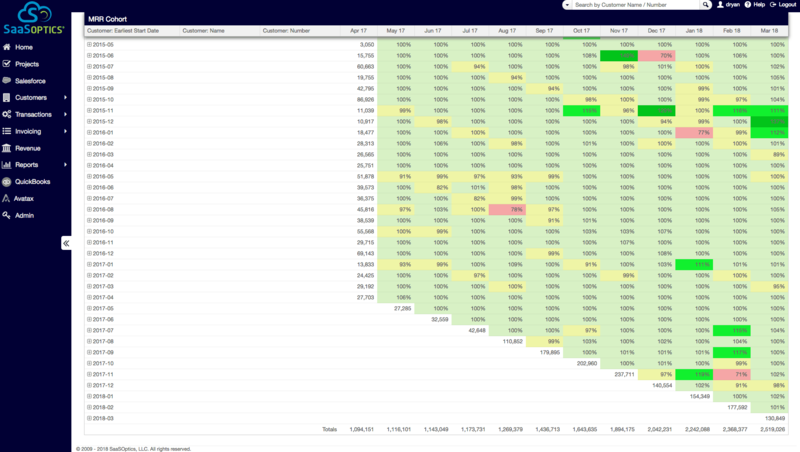 So far, it's been spreadsheet management. Revenue Books is web-based Contract & Subscription Billing Solution that integrates with your desktop or online version of QuickBooks. 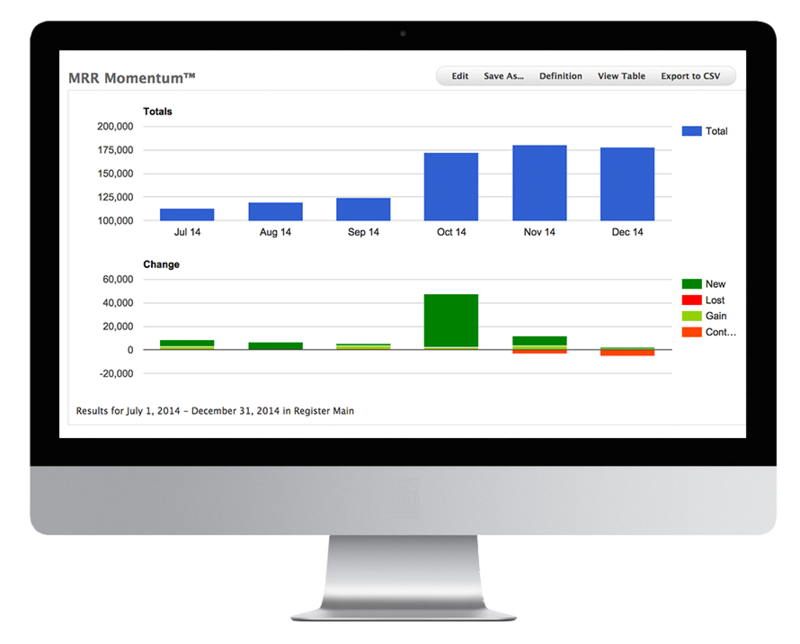 RevenueBooks is a complete solution for Subscription Billing Management for Quickbooks. 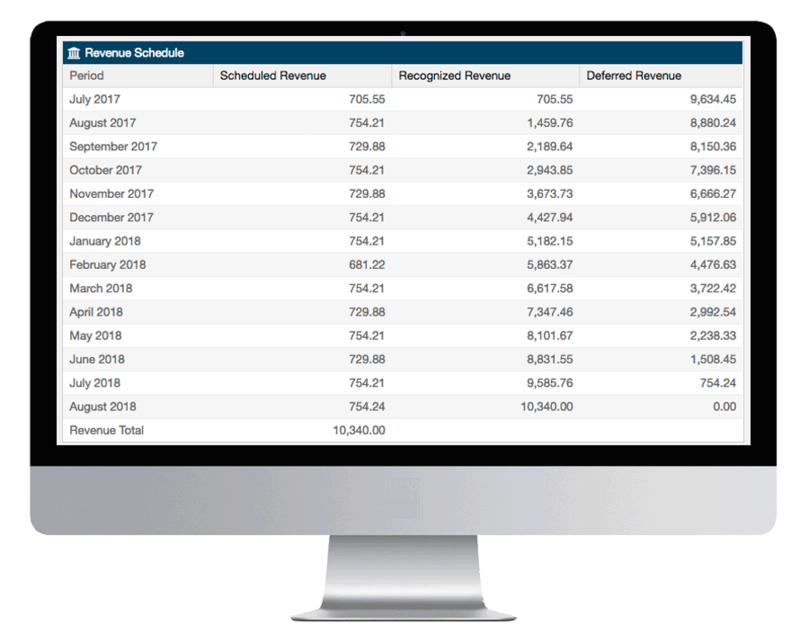 Revenue Books holds your revenue and subscription billing information, including contract elements for subscriptions, licenses, maintenance agreements, usage fees, pro services or any other elements. 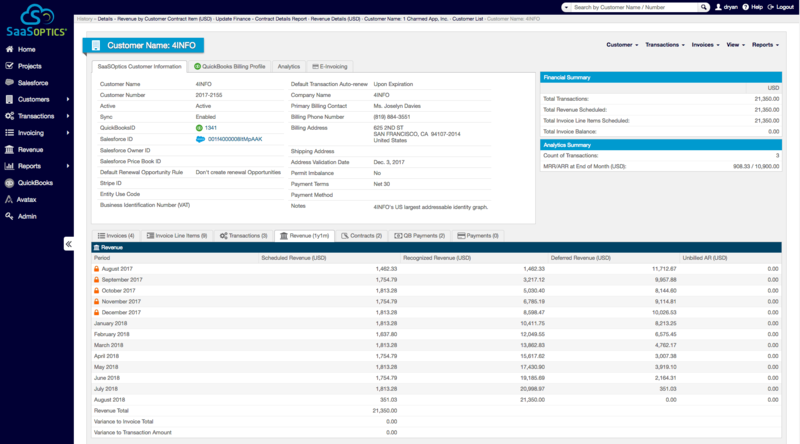 Using the over two dozen revenue recognition templates or the manual override, Revenue Books generates revenue schedules for each term contract element, including subscriptions and one-time items. 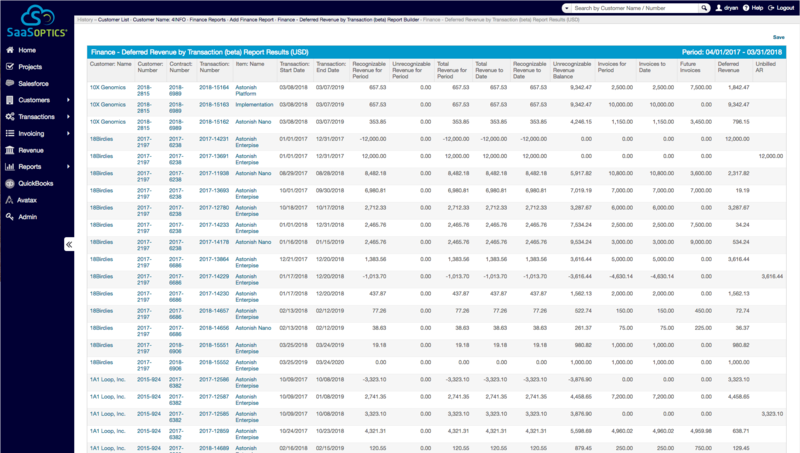 And, Revenue Books generates one-time, annual, monthly, quarterly or one-off invoices for each contract element. 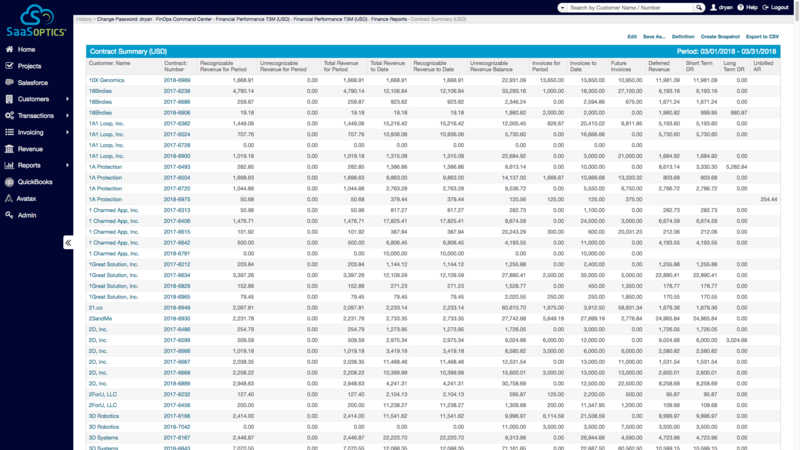 With all the required revenue recognition schedules and invoices, Revenue Books then calculates all important revenue recognition information, including deferred revenue and unbilled AR balances and period-to-period changes. 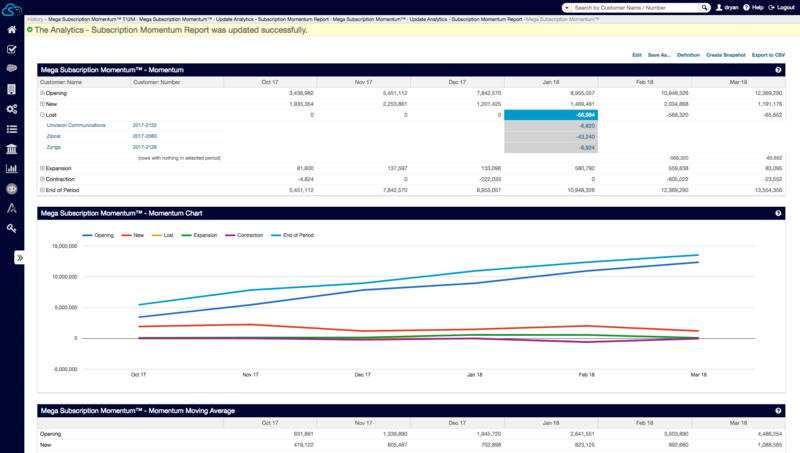 Fast and simple reporting makes it easy to see revenue by customer, contract, or in aggregate. 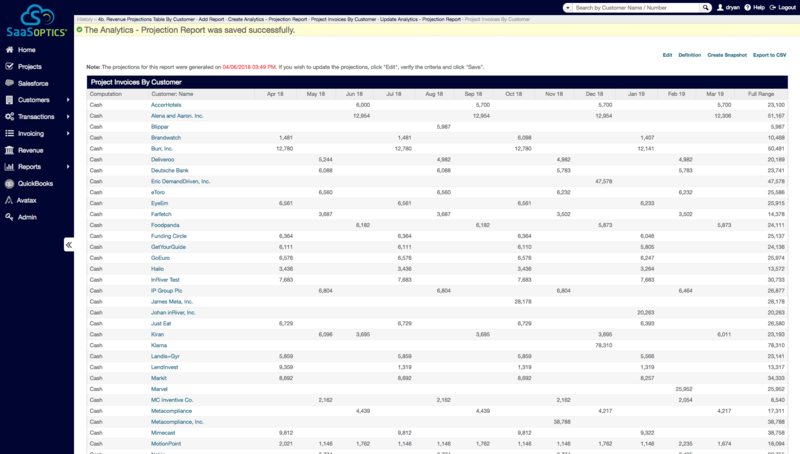 You can even report and view by different business units, divisions, or currencies. 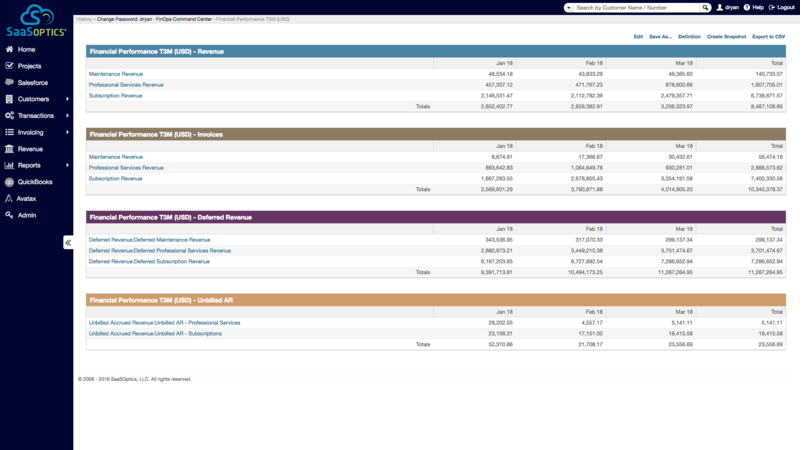 Revenue Books syncs revenue-related information between with QuickBooks, including revenue rec records, bills & invoices. 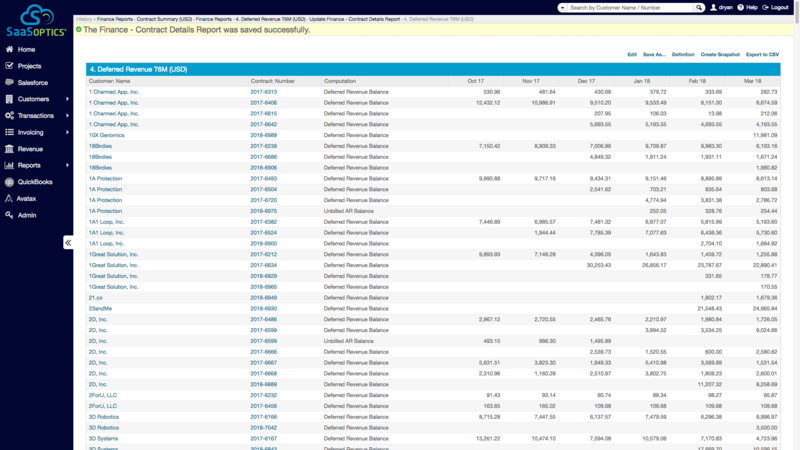 Customers and invoices created in Revenue Books are synced down to Quickbooks. 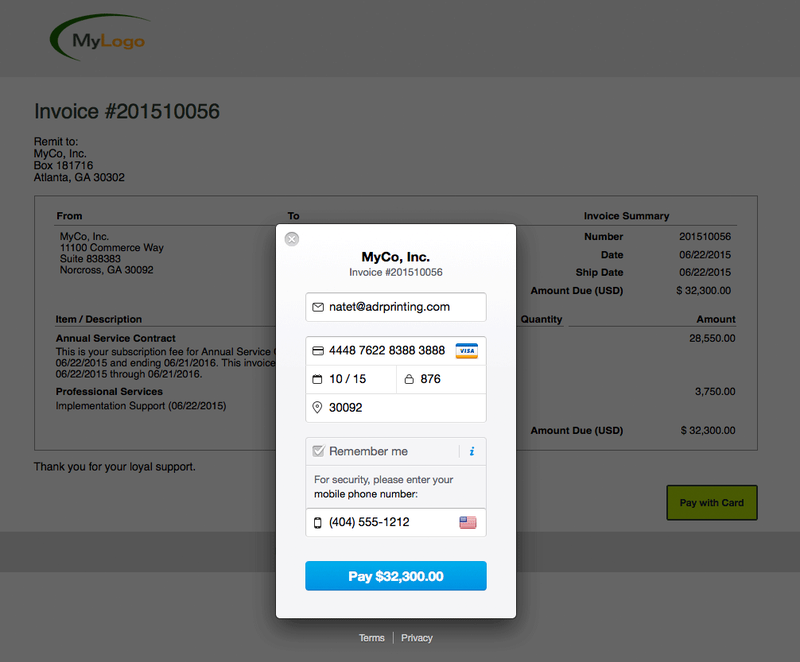 Customers and invoices created or modified in QuickBooks are synced up to Revenue Books. Revenue Books also sends journal adjustments to record recognized revenue in the appropriate QuickBooks income accounts, while making debits and credits to the appropriate deferred revenue and unbilled AR balance sheet accounts. You get all this and a whole lot more at a price you can easily afford. Remove risk, improve company valuation, speed through audits, and always be prepared for board meetings, investments, and m&a! 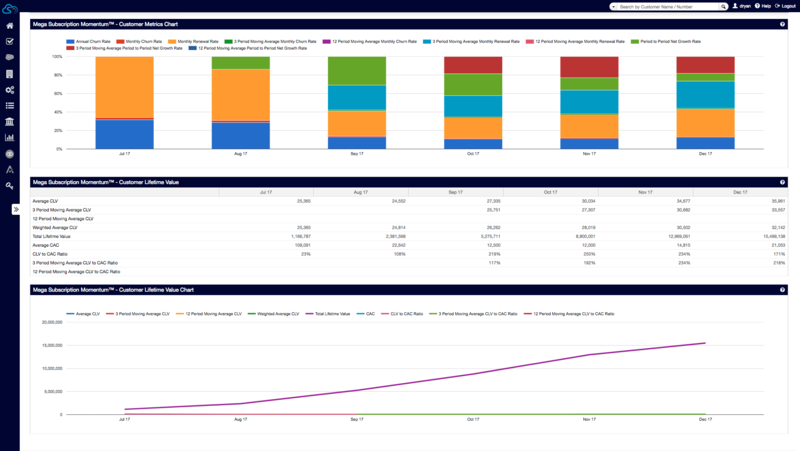 SaaSOptics delivers the most comprehensive and accurate subscriptions metrics in the market. About SaaSOptics . 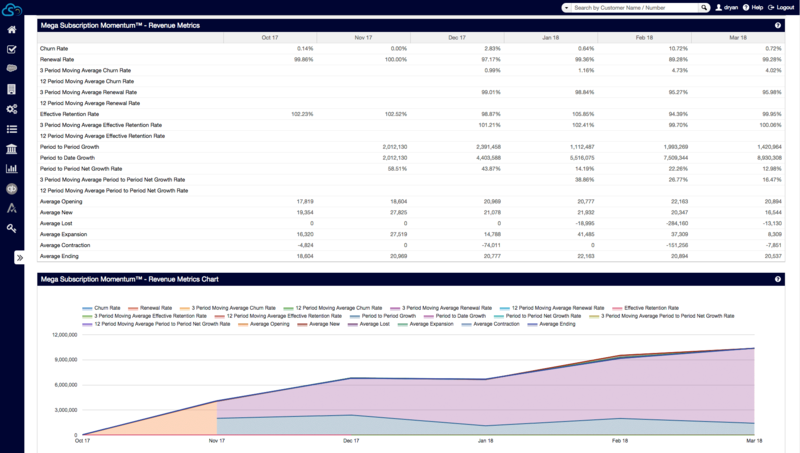 . .
SaaSOptics is the only purpose-built B2B SaaS Subscription Financial Operating Platform, built from the ground up to meet the needs of B2B subscription businesses from ear;y stage to mature. Now serving over 450 customers, and over $3 billion in annual subscription revenue and invoicing. Copyright © 2009- 2018 SaaSOptics, LLC All Rights Reserved. Legal. Sitemap. Privacy.